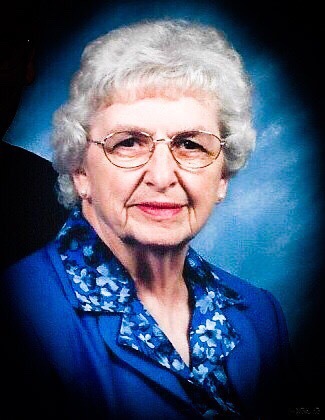 Joann Nolan Hoover, 86, of Columbia, Maryland, died Monday, March 25, 2019 at Vantage House in Columbia. Born November 11, 1932 in Newburg, Pennsylvania, she was the daughter of the late John A. and Valeria Hensel Nolan. She was the wife of the late Rodney L. Hoover, who died July 16, 2015. They had been married for 62 years. She was a retired school teacher having taught her entire career at Catonsville Jr. High School. She graduated from Shippensburg State Teachers College. She received a Master’s Degree from Washington University. She was an active member at Bethany United Methodist Church in Ellicott City, Maryland. Joann is survived by her son and daughter-in-law Dennis and Debra Hoover of Sykesville, Maryland, her grandchildren Nick (wife Katherine), Ashley and Tori Hoover, great-grandson Xavier Hoover and great-granddaughter Catalina Hoover. She is also survived by numerous nieces and nephews. She was preceded in death by sister Fredith Nolan. The family will receive friends Wednesday, 6-8 PM at the Jeffrey N. Zumbrun Funeral Home, 6028 Sykesville Road, Eldersburg, MD. Funeral services will be held Thursday 11 AM at Bethany United Methodist Church, 2875 Bethany Lane, Ellicott City, MD with Pastor Andrew Cooney officiating. Internment will follow in Crest Lawn Memorial Gardens. Sympathies may be expressed in the form of contributions to the Cancer Research Institute (http://www.cancerresearch.org/giving-to-cri) or the United Methodist Committee on Relief (http://www.umcor.org/UMCOR/Support). Online condolences may be offered at www.jnzumbrunfuneralhome.com.